I do not like to create new character forms without merit. I don't like developing new characters and glyphs that has no precedent shape or form from old samples or relative scripts. I have considered a JA /dʒ/ alternative but am still trying to figure out how to deal with SHA and CHA. 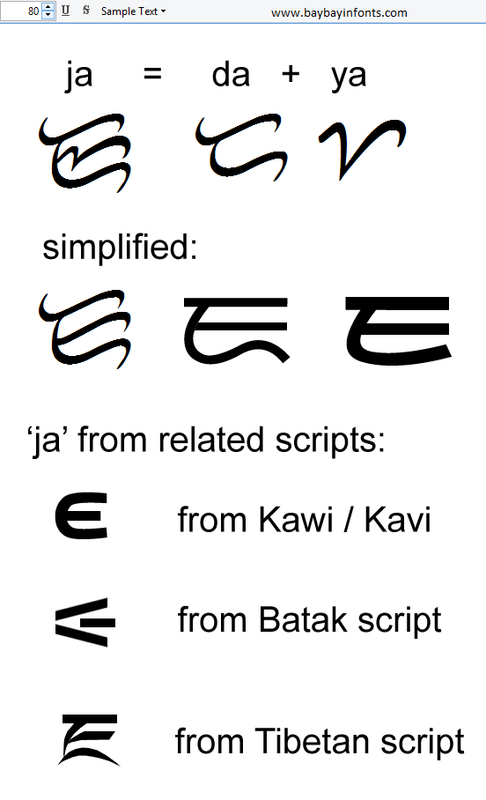 For now, the phonetic approximated combination of characters ᜐ᜔ᜌ S'YA and ᜆ᜔ᜌ T'YA along with ᜇ᜔ᜌ D'YA should still be our norm. But if ever a unified reform is seriously being looked at, I reckon that the alternative JA, based on the old Philippine & Javanese JA that coincidentally looks combination of DI & YA, should be considered as a good candidate for a JA character. Hopefully, it would be as well received as my ᜍ RA. 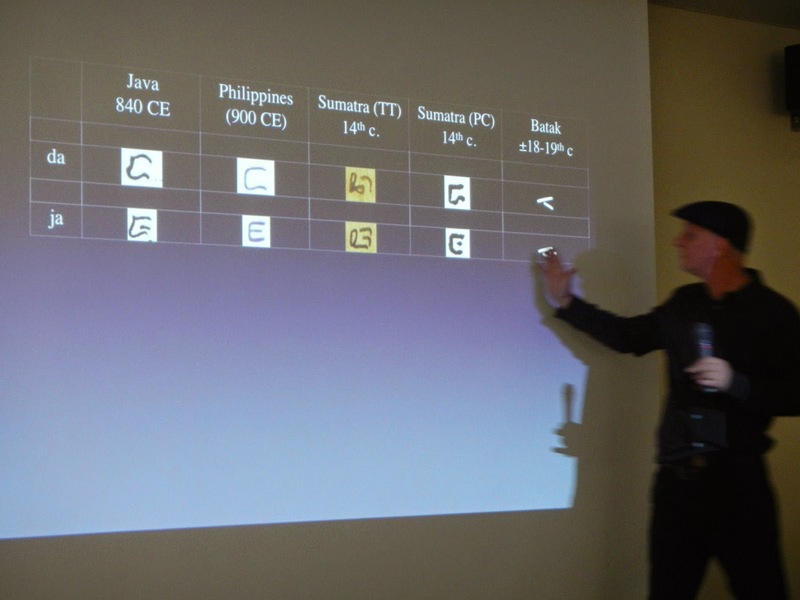 While I was in Japan, some of the examples above were explained by a couple of presenters during the International Workshop on Endangered Scripts of Island Southeast Asia (Feb. 27 - Mar. 1) in Tokyo.